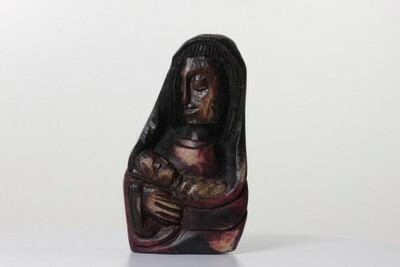 Carved wooden bust of Madonna and child. The title, artist, date, and place of creation are unknown. The bust appears to have been stained with different colors, but has worn off in spots over time.